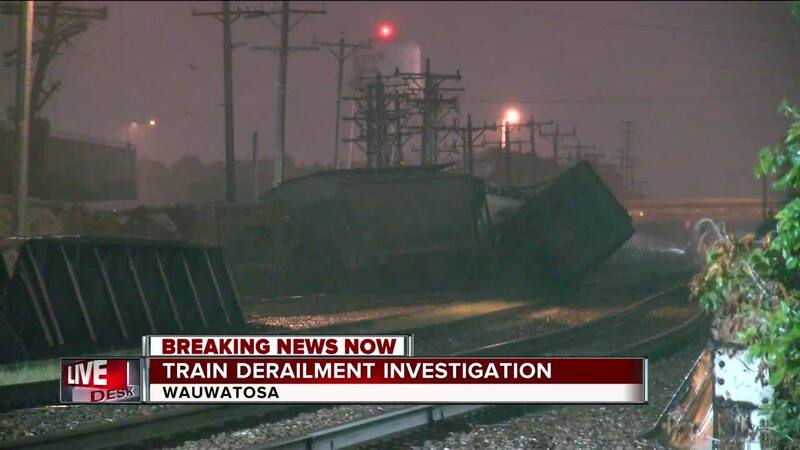 WAUWATOSA -- Authorities are working to find out what caused a train derailment Monday night in Wauwatosa. According to the Wauwatosa Fire Department, around 10 p.m., 13 train cars veered off the tracks near the 12000 block of Capitol Drive. Some cars were turned on their side, allowing sand to spill out of them. The train company said they would take care of the cleanup. The Wauwatosa Fire Battalion Chief tells TODAY'S TMJ4 the cars contained a non-hazardous sand. No injuries were reported and no roads were shut down, but investigators still don't know what caused the derailment.